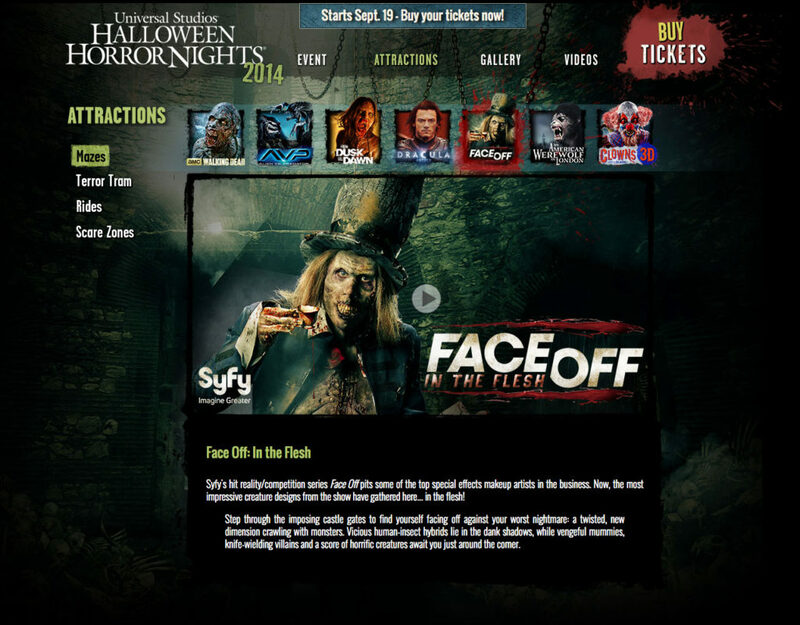 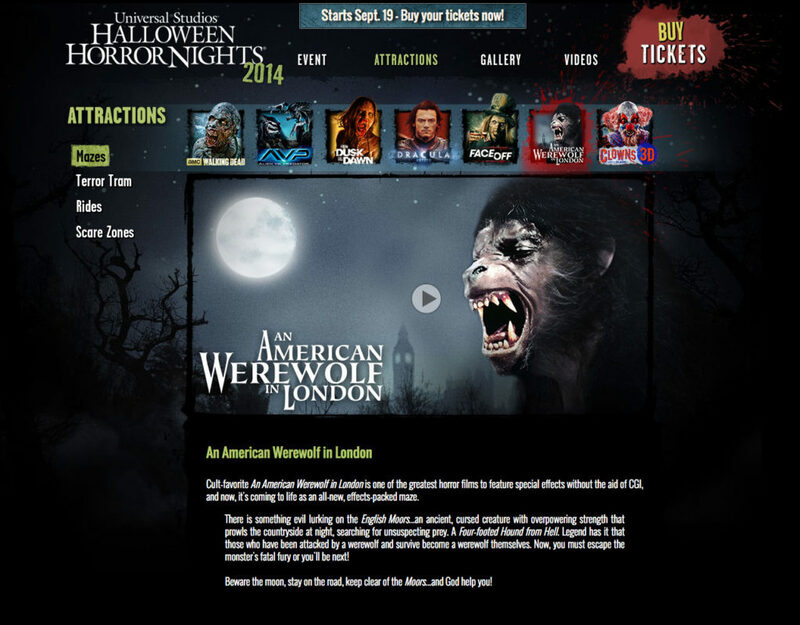 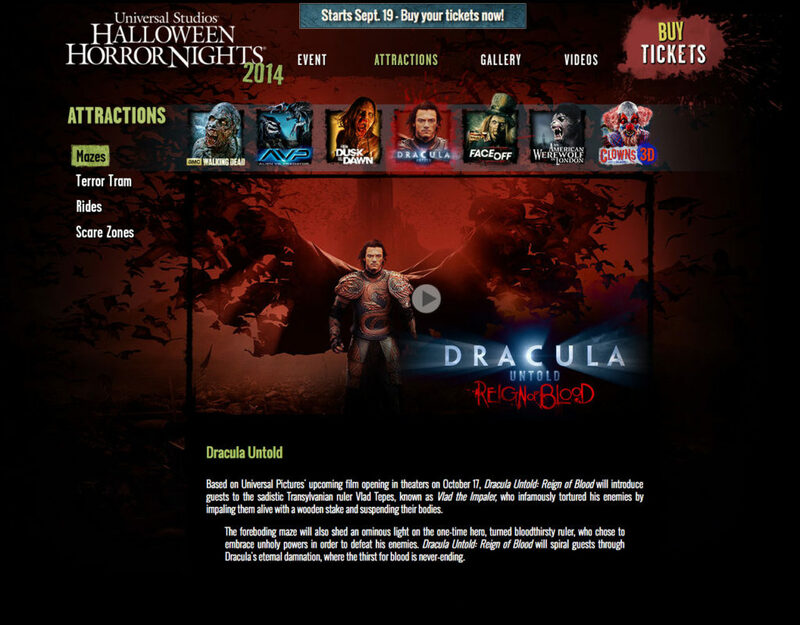 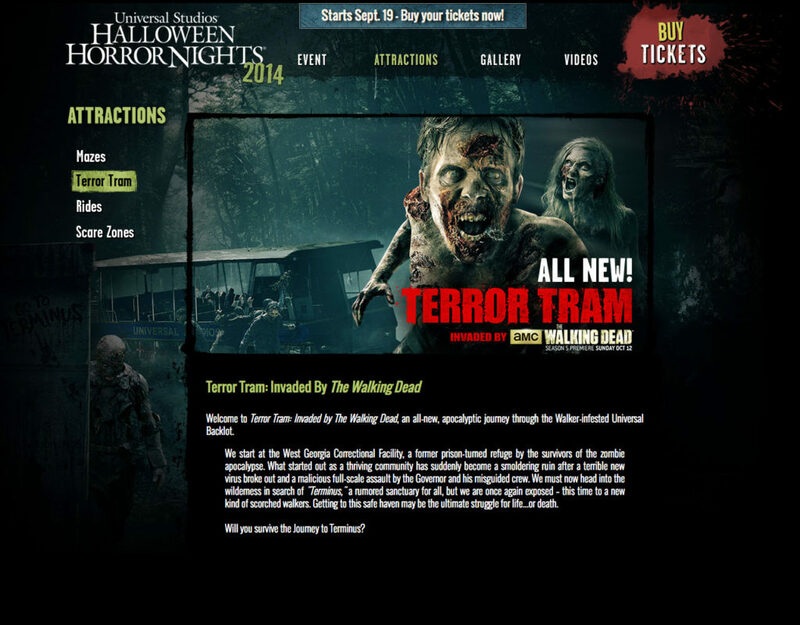 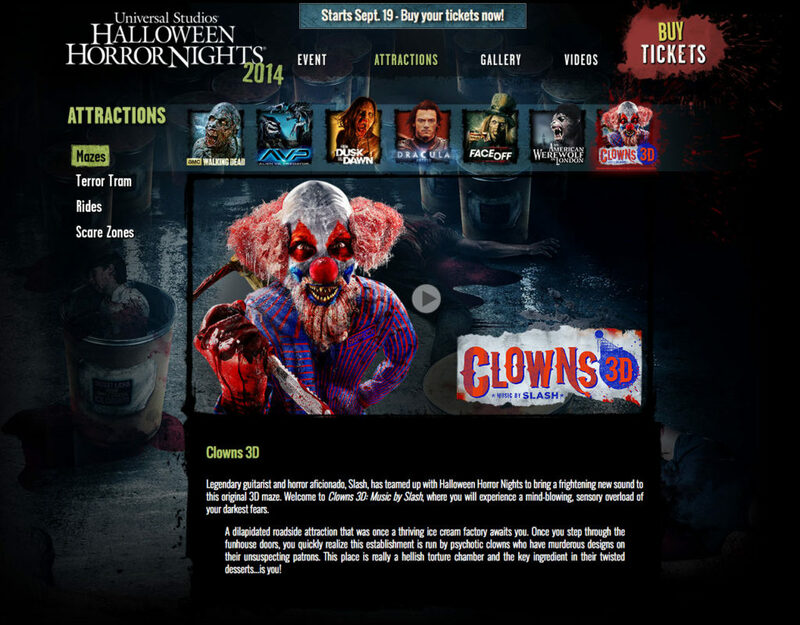 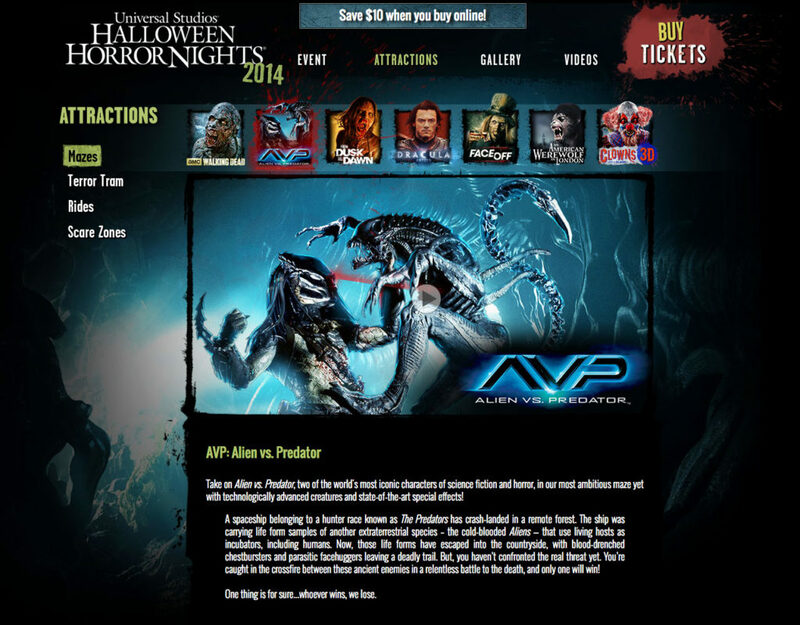 Halloween Horror Nights is a Halloween themed event in Los Angeles, run by Universal Studios. 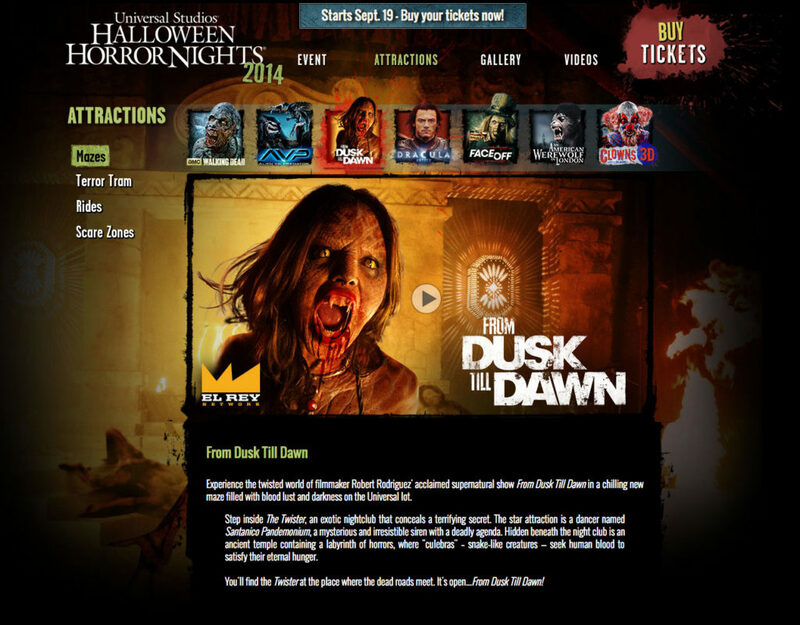 As Art Director, I was tasked with re-designing their existing website to showcase a number of new events, attractions, videos and photos. 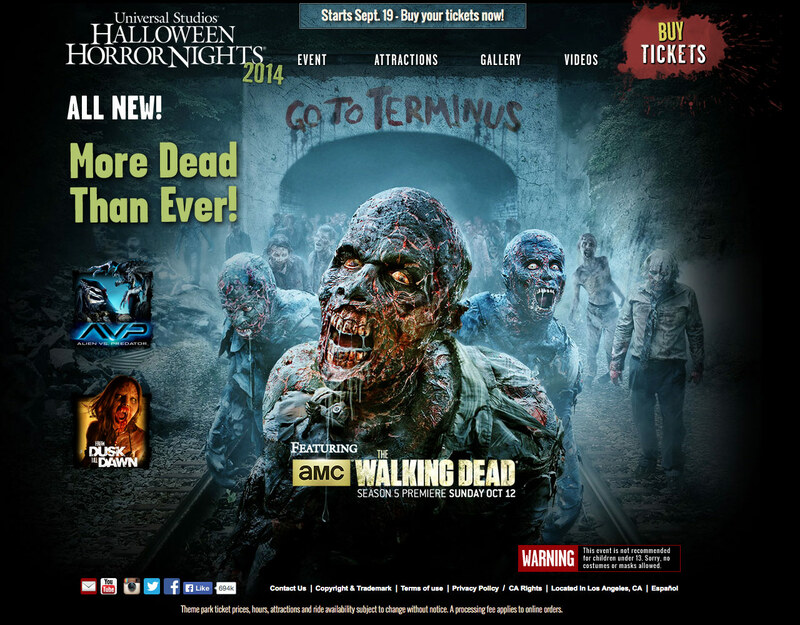 After the creative brief with Universal, I decided to showcase the fantastic key art for each attraction, focusing on the featured attraction from the hit show, The Walking Dead. 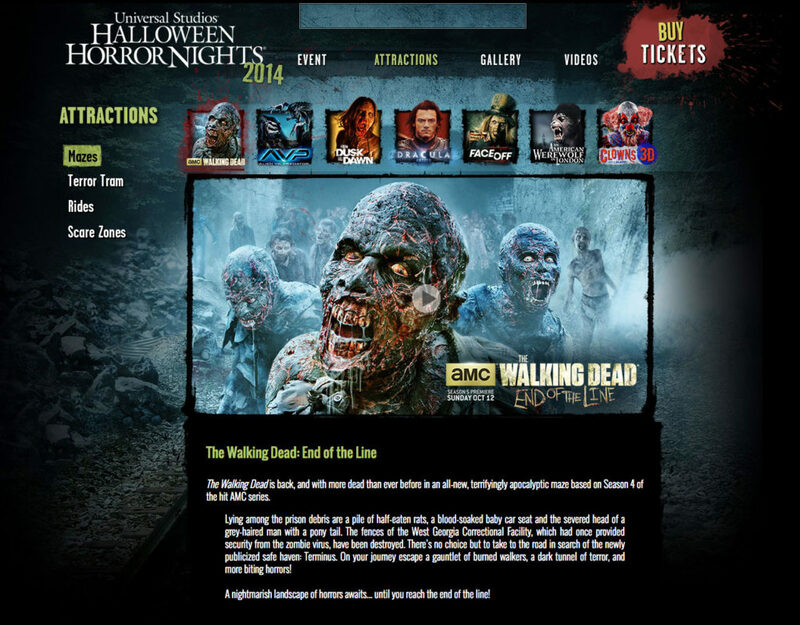 The Walking Dead key art is showcased on the home page, with callouts to the other highlighted attractions.